When people see it, they know that the person wearing it has a husband/wife. This is similar to what happens with baptism. Baptism is a symbol that shows others you are saved. It tells others you believe Jesus died for your sins, He was buried, and He came alive on the third day. It tells them you said, “I do” want Jesus to come into my heart and take my sins away. You are saved when you believe and ask Jesus into your heart. Baptism does not save you, but it just shows on the outside what has happened on the inside. It shows others you have chosen to follow Jesus and you are not ashamed of Him. When Jesus was baptized, the Holy Spirit descended on Him as a dove. Jesus willingly came to earth to give His life for us. 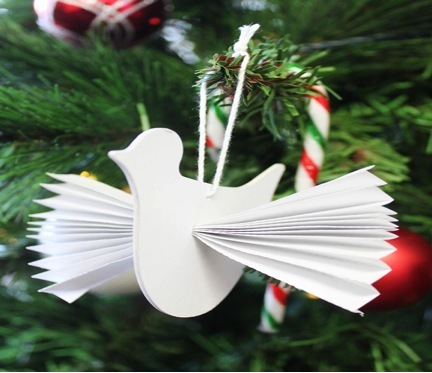 Make a dove ornament to add to the Christmas tree. Use the materials you have on hand (white foam sheet, white small paper plate, copy paper, etc.). 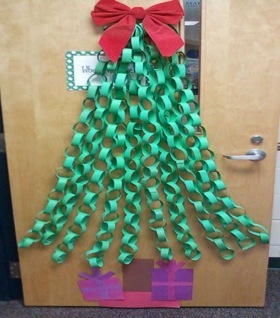 Below is a picture of an idea from Pinterest (bellablvd.typepad.com). Jesus is our example! He willingly came to earth to do God’s will. He helped others, He fed people, He listened, He paid attention to small children, He gave, He prayed, He loved, and more. We can follow His example.